Somalia ( Somali: Soomaaliya; Arabic: الصومال, Aṣ-Ṣuumaal), formerly known as the Somali Democratic Republic, is a coastal nation at the Horn of Africa in East Africa. It is bordered by Ethiopia to the west, Djibouti to the north and mid-west, Kenya on its south-west, and the Gulf of Aden on its north, and the Indian Ocean at its east. The Somali state currently exists solely in a de jure capacity; Somalia has no recognized central government authority nor any other feature associated with an established independent state. 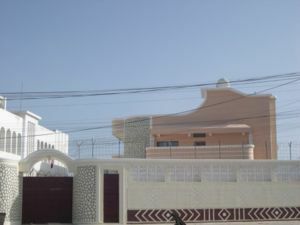 De facto authority resides in the hands of the governments for the unrecognized entities of Somaliland, Puntland, the Supreme Islamic Courts Council and the weak, but United Nations-recognized, Interim transitional government in Baidoa about 250 kilometers north-west of the capital Mogadishu. Violence has plagued Somalia since warlords ousted former dictator Mohamed Siad Barre in 1991. The independence of the British Somaliland Protectorate from the United Kingdom was proclaimed on June 26, 1960. On July 1, 1960, unification of the British and ex- Italian Somaliland took place. The government was formed by Abdullahi Issa. Aden Abdullah Osman Daar was appointed as President and Abdirashid Ali Shermarke as Prime Minister. Later, in 1967, Mohammed Ibrahim Egal became Prime Minister in the government appointed by Abdirishid Ali Shermarke. Egal was later chosen as President of the self-declared independent Somaliland. He died in a hospital in Pretoria on May 3, 2002. In late 1969, a military government assumed power following the assassination of Shermarke, who had been chosen, and served as, President from 1967–1969. Mohamed Siad Barre, a General in the armed forces, became the President in 1969 following a coup d'état. The revolutionary army leaders, headed by Siad Barre, established large-scale public works programmes. They also successfully implemented an urban and rural literacy campaign, in which they helped to dramatically increase the literacy rate from a mere 5% to 55% by the mid- 1980s. In the meantime, Barre assassinated a major figure in his cabinet, Major General Gabiere, and two other officials. Intermittent civil war has been a fact of life in Somalia since 1977. In 1991, first insurgent forces led by Abdullahi Yusuf Ahmed, leader of the (SSDF), and President Ali Mahdi Mohamed was unrecognised as the interim president by some factions. The same year, the northern portion of the country declared its independence as Somaliland; although de facto independent and relatively stable compared to the tumultuous south, it has not been recognized by any foreign government. In the period 1991-1992, a split in the southern United Somali Congress, which led efforts to unseat Barre, caused an escalation in the civil war, especially in the Mogadishu area. Following the failure of Operation Restore Hope and beginning in 1993, a two-year UN effort (primarily in the south) was able to alleviate famine conditions. The UN contingent included some US troops, 18 of whom were killed in fighting after a helicopter was shot down in Mogadishu (as shown in the film " Black Hawk Down"). The UN withdrew in Operation United Shield by March 3, 1995, having suffered significant casualties, and the rule of government has not yet been restored. 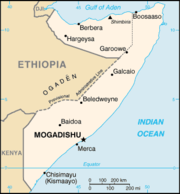 Yet another secession from Somalia took place in the northeastern region. The self-governing state took the name Puntland after declaring "temporary" independence in 1998, with the intention that it would participate in any Somali reconciliation to form a new central government. It is important to note that this province does not seek permanent secession from Somalia. 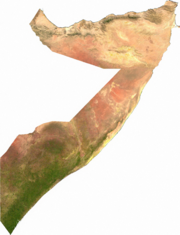 A third secession occurred in July 2006 with the declaration of the state of Jubaland. The territory of Jubaland is now declared its Regional Autonomy by its people. Col. Barre Aden Shire Hiiraale, chairman of the Administration of Jubba Valley Alliance Dooxada Jubbais the most powerful leader there. Again, this regional government did not want full statehood. A fourth self-proclaimed entity led by the Rahanweyn Resistance Army (RRA) was set up in 1999. This "temporary" secession was reasserted in 2002, leading to de facto autonomy of Southwestern Somalia. The RRA had originally set up an autonomous administration over the Bay and Bakool regions of south and central Somalia in 1999. Somalia was one of the many countries affected by the tsunami which struck the Indian Ocean coast following the 2004 Indian Ocean earthquake, destroying entire villages and killing an estimated 300 people. A conflict to unseat warlords broke out in May 2006. The battle was fought between an alliance of C.I.A.-backed Mogadishu warlords known as the Alliance for the Restoration of Peace and Counter-Terrorism or "ARPCT" and a militia loyal to Union of Islamic Courts or "UIC". The conflict began in mid-February. Several hundred people, mostly civilians, died in the crossfire. Mogadishu residents described it as the worst fighting in more than a decade of lawlessness. The Islamists accused the U.S. of funding the warlords through the Central Intelligence Agency in an effort to prevent the Islamists gaining power. The U.S. State Department, while neither admitting nor denying this, said the U.S. had taken no action that violated the international arms embargo of Somalia. A few emails describing covert illegal operations by private military companies in breach of UN regulations have been reported by the UK Sunday newspaper The Observer. The U.N. maintains an arms embargo on Somalia, and some have alleged that the U.S. broke international law by supplying the Mogadishu warlords. The president of the Somali transitional government, Abdullahi Yusuf, told the BBC the alliance of warlords was not fighting on behalf of the transitional government, even though several of the warlords held cabinet posts. Four powerful warlords who had been serving as ministers were sacked. On June 5, 2006 the Islamic Militia said it had taken control of the whole of Mogadishu. On 14 June 2006 the last ARPCT stronghold in southern Somalia, the town of Jowhar, fell with little resistance to the ICU. The remaining ARPCT forces fled to the east or across the border into Ethiopia. The warlords' alliance effectively collapsed. The transitional government called for intervention by a regional East African peacekeeping force. UIC leaders opposed this, and lobbied African Union (AU) member states at an AU ceremony in Libya on September 9, 2006 to abandon plans to send peacekeepers to Somalia. The Islamists are fiercely opposed to foreign troops – particularly Ethiopians – in Somalia. Somalia and Ethiopia fought a bitter war in 1977-78 over the Somali province of Ogaden, which has been ruled by the Ethiopians since the partition of Somali lands in the first half of the 20th century. As well, many have claimed that Ethiopia, with its long history as an imperial power, seeks to rule Somalia by proxy. Steadily the Islamist militia backing the UIC took control of much of the southern half of Somalia, normally by negotiation with local clan chiefs rather than the use of force. The Islamists stayed clear of the government headquarters town of Baidoa, which Ethiopia said it would protect if threatened. But on September 25, 2006, the UIC moved into the southern port of Kismayo, the last remaining port held by the government. 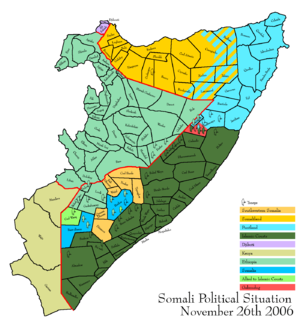 Political and Military Situation in and Around Somalia, November 26, 2006. Somalia has had no effective national government since 1991, though there is an internationally recognized government in Baidoa. This government, called the Transitional National Government, controls only Baidoa and is not recognized by most Somalis to be legitimate. The transitional government was appointed abroad, by forces historically opposed to Somali interests such as Ethiopia and various African countries seeking to limit the extent and scope of Somali development and eventual encroachment on occupied Somali lands. In the northwest, there is the breakaway republic of Somaliland, which declared its independence in 1991. This governing zone is not internationally recognized although it has remained more stable and certainly more democratic than the south and northeast. Puntland in the northeast declared itself autonomous in 1998 and has not joined the Transitional Government, though the former president of Puntland is now the president of the Baidoa government and Puntland has stated its desire to join a future theoretical federated state. In the southeastern interior, Jubaland and Southwestern Somalia have both joined the Baidoa government, and its leaders are part of the Baidoa parliament. The other half of the country, with the bulk of the population, is controlled by the United Islamic Courts , which controls the critically important cities of Mogadishu and, since September 24th, 2006, Kismayo. "Land is not our priority. Our priority is the people's peace, dignity and that they could live in liberty, that they could decide their own fate. That is our priority. Our priority is not land; the people are important to us." On October 14, 2004, Somali members of parliament elected warlord Abdullahi Yusuf, previously president of Puntland, to be the next president. Because of the situation in Mogadishu, the election was held in a sports centre in Nairobi, Kenya. Yusuf was elected transitional President by Somalia's transitional parliament. He won 189 of the 275 votes from members of parliament. The session of Parliament was also held in neighbouring Kenya. His government is recognized by most Western nations as legitimate, although his actual authority is questionable considering his history as a warlord and as a participant in the civil war that has ruined Somalia. Many other small political organizations exist, some clan-based, others seeking a Somalia free from clan-based politics (such as the United Somali Front). Many of them have come into existence since the civil war. As of late 2006, however, the Transitional National Government remains in control of only a relatively small portion of the country; by some accounts its control barely extends beyond the limits of its capital city of Baidoa. In addition, the political situation remains unstable; for example, on September 18, 2006, Abdullah Yusuf barely survived a suicide attack on his convoy in Baidoa, although twelve other people were killed. Map of Somaliland and neighbouring Somalia. Somalia is located on the east coast of Africa on and north of the Equator between the Gulf of Aden on the north and Indian Ocean on the east. Together with Ethiopia and Djibouti it is often referred to as the Horn of Africa. It borders Djibouti on the northwest, Ethiopia on the west, and Kenya on southwest. Somalia comprises Italy's former Trust Territory of Somalia and the former British Protectorate of Somaliland (now seeking recognition as an independent state). The coastline extends 3,025 kilometres (1,880 mi); the longest coastline in Africa. At 246,184 mi² (637,657 km²), Somalia is the world's forty-second largest country (after Afghanistan). It is comparable in size to the Central African Republic, and is somewhat smaller than the US state of Texas. The northern part of the country is hilly, and in many places the altitude ranges between 900 and 2,100 metres (3,000-7,000 ft) above sea level. The central and southern areas are flat, with an average altitude of less than 180 metres (600 ft). The Juba and the Shebelle Rivers rise in Ethiopia and flow south across the country towards the Indian Ocean. The Shebelle, however, does not reach the sea except during seasons of high rain. Major climatic factors are a year-round hot climate, seasonal monsoon winds, and irregular rainfall with recurring droughts. Mean daily maximum temperatures range from 30°C to 40°C (85-105°F), except at higher elevations and along the east coast. Mean daily minimums usually vary from about 15°C to 30°C (60-85°F). The southwest monsoon, a sea breeze, makes the period from about May to October the mildest season at Mogadishu. The December-February period of the northeast monsoon is also relatively mild, although prevailing climatic conditions in Mogadishu are rarely pleasant. The "tangambili" periods that intervene between the two monsoons (October-November and March-May) are hot and humid. A Somali rancher herds cattle in Kismayo. Since the collapse of the state, Somalia has transformed from what Mohamed Siad Barre referred to as "scientific socialism" to a free market economy. Somalia flourished precisely because of the "world community’s" neglect. In Somalia, "the very absence of a government may have helped nurture an African oddity — a lean and efficient business sector that does not feed at a public trough controlled by corrupt officials," wrote Peter Maas in the May 2001 issue of The Atlantic Monthly. Tele-communications, transportation, and shipping companies were organized up to provide services to the liberated private sector. Internet cafes have sprung up in Mogadishu. Private security firms helped businessmen protect their investments and property. A recent World Bank study grudgingly admitted: "Somalia boasts lower rates of extreme poverty and, in some cases, better infrastructure than richer countries in Africa." This is almost certainly because it is not cursed with a World Bank-subsidized central government to siphon away the nation’s wealth. Agriculture is the most important sector, with livestock accounting for about 40% of GDP and about 65% of export earnings. Nomads and semi-nomads, who are dependent upon livestock for their livelihood, make up a large portion of the population. After livestock, bananas are the principal export; sugar, sorghum, maize, and fish are products for the domestic market. The small industrial sector, based on the processing of agricultural products, accounts for 10% of GDP. Oil also is an untapped resource, mainly in Puntland. But due to protests, battles, and the like, it is hard for foreign experts to come into the country. Somalia continues to have one of the highest child mortality rates in the world, with 10% of children dying at birth and 25% of those surviving birth dying before age five. But on the other hand Somalia also has one of the lowest HIV/Aids infection rates in Africa and in the World. The breadth of the AIDS pandemic has led to the idea in the West that the entire continent is ravaged by the disease. But Somalia -- isolated for 14 years since the civil war began and populated by devout Muslims -- has an infection rate of perhaps only 1.5 or 2 per cent of the adult population. "The outside world's picture of Somalia has been distorted by the natural tendency of the foreign media to focus on bad news” and that "[p]eace reigns in most of the country " and "as a result regional and local governments have been able to resume working in many areas." The article quotes former Somalia ambassador to Washington, Omar Mohalim Mohamoud as "Somalis consider themselves born free. To them, the State equals registration, regulation and restriction" and attributes this prejudice against a new central government to the nomadic culture and the bad experiences of the Barre regime. The article concludes by stating that "Somalia can only deal with its massive material and social problems once the pieces of the jigsaw have been fitted back together." The building of new homes is a sign of hope in Mogadishu. 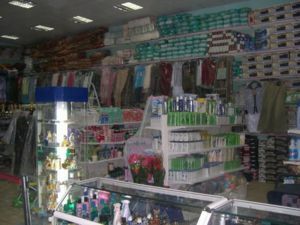 "Despite the seeming anarchy, Somalia's service sector has managed to survive and grow.... Mogadishu's main market offers a variety of goods from food to the newest electronic gadgets. Hotels continue to operate, and militias provide security." Infrastructure, such as roads are as numerous as those in neighbouring countries but of much lower quality. A World Bank report states that the private sector has found it too hard to build roads due to high transaction costs and the fact that those who pay road fees are not the only ones using the road (see free rider problem), presenting a problem with recuperation of investment. The thriving telecommunications industry is private, offering wireless service and Internet cafés. Competing phone companies have agreed on interconnection standards, which were brokered by the United Nations funded Somali Telecom Association. Electricity is furnished by entrepreneurs, who have purchased generators and divided cities into manageable sectors. In 1989, before the collapse of the government, the national airline had only one airplane. Now there are approximately fifteen airlines, over sixty aircraft, six international destinations, and more domestic routes. According to a World Bank report, the "private airline business in Somalia is now thriving with more than five carriers and price wars between the companies." The owner of Daallo Airlines says, "Sometimes it's difficult without a government and sometimes it's a plus," but "Corruption is not a problem, because there is no government." The private sector also supplies water. However, a statistic from 2000 indicated that only 21% of the population had access to safe drinking water at that time. With the collapse of the central government, the education system is now private. A World Bank study reports "modest gains in education." As last measured in 2001, primary school enrolment, which stood at 17%, was nearly at pre-war levels, and secondary school enrolment had been increasing since 1998. However, "adult literacy is estimated to have declined from the already low level of 24% in 1989 to 17.1% in 2001." A more recent 2003 study reported that the literacy rate had risen to 19%. In comparison, literacy is at 49% in wealthier West Africa and 35% among its neighbours. Higher education ended completely in the civil war of 1991, but Mogadishu University reopened in 1998 and its first class graduated in 2001. Other universities have opened in other cities. In addition to customer fees, much of the funding for the education system comes from international Islamic charities such as Al-Islah. 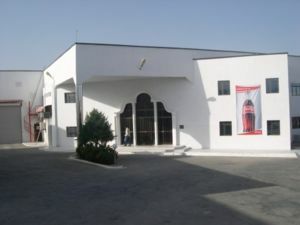 Some signs of investment: in 2004, a Coca-Cola bottling plant opened in Mogadishu. The main problem affecting economic growth is the lack of stability, or the perception of it. For businesses to operate, it is necessary to provide some level of security and internationally recognized governments are widely perceived as being more reliable in this than the traditional tribal leadership that currently holds sway in Somalia. However, investors are feeling more comfortable lately; for example, a Coca-Cola bottling plant opened in Mogadishu in 2004. Remittance services has become a large industry in Somalia. Successful people from the world-wide diaspora who fled because of the war contribute to the economy around $2 billion annually. In the absence of a formal banking sector, money exchange services have sprouted throughout the country, handling between $500 million and $1 billion in remittances annually. Wireless communications has also become a giant economic force in Somalia. Because of the war, nobody really knows the size of the economy or how much it is growing. This 2002 CIA map shows population density throughout Somalia. Somalia has a population of around 8,591,000. However, estimates are very difficult because of the political situation and the mostly nomadic nature of the Somalis. The last census was in 1975. Most outside analysts use this estimate but Somalia is one of the fastest growing countries in Africa and the world. Some estimates range between 15 and 25 million. Today, about 60% of all Somalis are nomadic or semi-nomadic pastoralists who raise cattle, camels, sheep, and goats. About 25% of the population are settled farmers who live mainly in the fertile agricultural region between the Juba and Shebelle rivers in southern Somalia. The remainder of the population (15%-20%) is urban. Because of the civil war,the country has a large diaspora community, one of the largest of the whole continent. There are over a million Somalis outside of Africa, and this excludes those who have inhabited Ogaden province, Northeastern Kenya, and Djibouti. Nearly all inhabitants speak Somali, the official language. This standard was based on dialects from the Mudug province. The Somali language was not used extensively for writing until 1973, when a standard orthography using the Latin alphabet was decreed by the Supreme Revolutionary Council (SRC). Somali is now the language of instruction in schools. English, Italian, and Arabic are also used.